Day 2: The 2018 BJUI Guest Lecture: Dr. Robert Wachter. 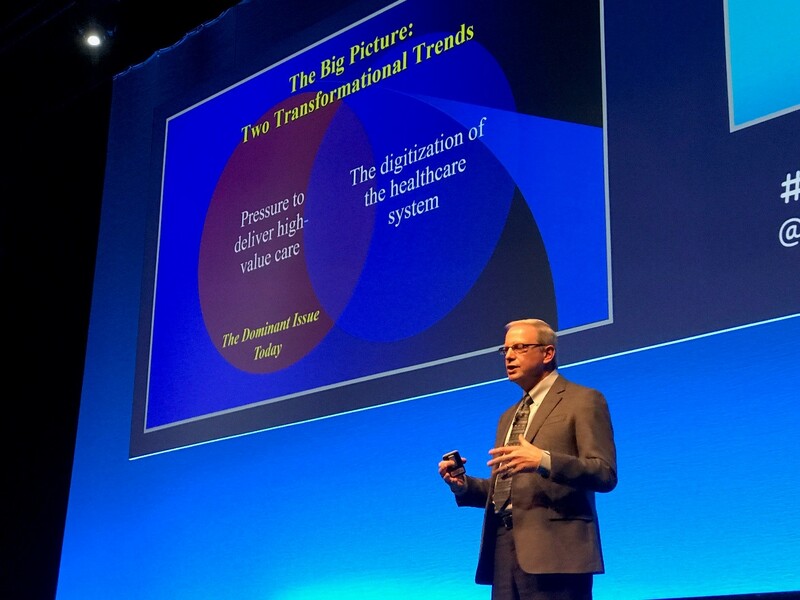 Achieving the Promise of Digital Health: Are we There Yet? If Not, When…and How? Image 1: Q&A with Dr. Robert Wachter, moderated by BJUI Trustee Chair, Prof. Krishna Sethia. 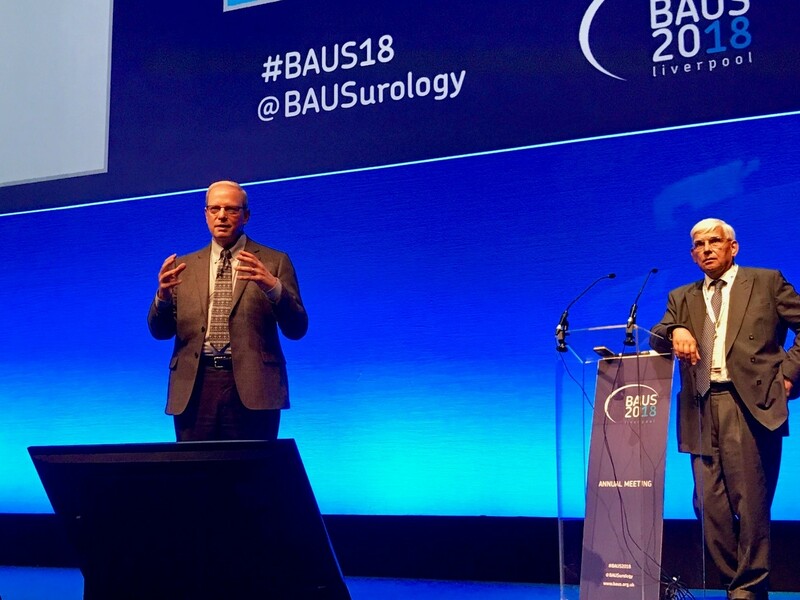 For Day 2 of BAUS18, the BJUI team invited a very unique expert to the podium. Dr. Robert Wachter is chief of medicine at the University of California San Francisco. He is more than an international guest flown across the pond for a keynote speech. Rather he is an expert in the digitization of health care and has consulted with the NHS in the past and extensively toured UK facilities. In a prior era of his career, he is credited with inventing the term “hospitalist” as internal medicine trained doctors who only service hospital-based points of care rather than the traditional outpatient clinic. As a preface, he showed U.S. statistics that in ten years, we transformed from a < 10% to > 90% rate of electronic medical record (EMR) adoption—much of it spurred by financial incentives from the federal government. We all assume EMRs are more accurate and cut down on medical errors—queue the picture of the poor penmanship resulting in wrong drug/wrong patient/wrong dose. Yet he showed a post digitization era mistake where a drug was given 39 times rather than once due to mg vs mg/kg confusion—somehow the error made it through the whole system of EMR check points, robotic pharmacy dispensing, bar coders, and administration. The patient somehow survived. The take home point is the unintended consequences of the EMR. What drives the EMR? Familiar themes of safety, accuracy, and low cost. At my hospital, we went through the famous EPIC EMR transformation in 2016. We lost so much money in the transition, it was fodder for articles in our national press and it certainly had an impact of several administrators’ careers. But even > 2 years later, I can say that I can make EPIC work at the level I worked before. But am I any faster? Definitely not. And the InBasket feature is a never-ending taskmaster of clinic results and messages and notifications. Dr. Watcher showed a nice children’s drawing of a visit to her pediatrician. Everyone in the family is drawn, and she is on the exam table. The doctor? Back turned to the patient and clicking away at the EMR. So true and I’m as guilty as anyone. The only mistake made by the 7-year-old artist was that the doctor is smiling while clicking away on the computer! 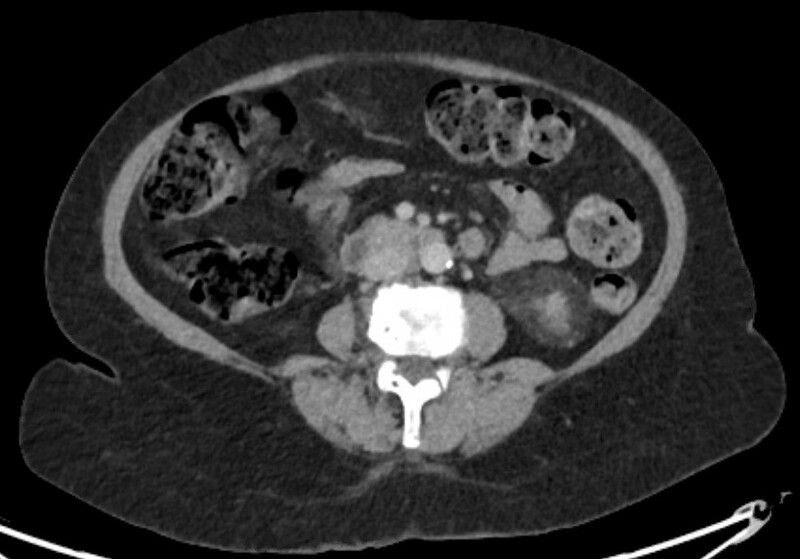 You can see the image yourself (copyrighted) in the article by Toll E, JAMA 2012 PMID 22797449. He pointed out that in most industries, digitization and automation would normally contract the work force and reduce or transfer out job positions. But not in health care—the popular solution to the physician’s back to the patient is to hire a “medical scribe” to do all of the EMR work while the doctor returns to the face to face role. In another talk on Global trends in health care and education, Dr. Allan Partin pointed out that it is increasingly popular in the USA for undergraduate students to take a “gap” year after graduation and before medical school, where they often do research, travel, work in the field, etc. Both trends are now part of my household—my older daughter graduated Baylor University with Health Sciences Studies degree and is both taking a gap year and taking a job as a medical scribe while applying to medical school. Next is really the key point to where we are now in health care—yes we have converted to the EMR, and yes we have a few tricks like voice recognition software, medical scribes, and *** template phrases to speed up or at least maintain the pace of the pre-EMR era. However, what lies ahead is how to unlock the mystery of how to increase productivity. As far as we know, no one is more productive with an EMR across the board. In some cases, it can still be the opposite—the EMR became such a temptation for hospitals to “tack on” more tasks while they have us in there: not just an H&P but lets add TMN cancer staging, and a problem list, and reconcile meds, and an enormous review of systems, and review outside problems, and do all of the coding and billing. And at least in the EPIC version of the EMR, if any members of your extended team (nursing, trainees, advanced practice providers, etc.) make a mistake in their documentation, you usually can neither correct the error yourself nor close the encounter. So you have to chase them down by email to finish the work. At our center they now want encounters done by 7 days and promise to fine us starting day 14. So that might be the future—improvements to EMRs or use of artificial intelligence to make our work better and more efficient. A quick example was an endocrine service where the chief could use the EMR to screen hospitalized patients at risk for hyperglycemic complications. He could send alerts to the nursing team on how to further assess and avoid problems. He can scan the whole hospital to flag 20 cases, and send 10 messages—all in the course of an hour. If any one of those 20 cases became a consult, it would probably be an hour each—so that’s the efficiency multiplier. Overall it was an excellent and thought-provoking lecture. 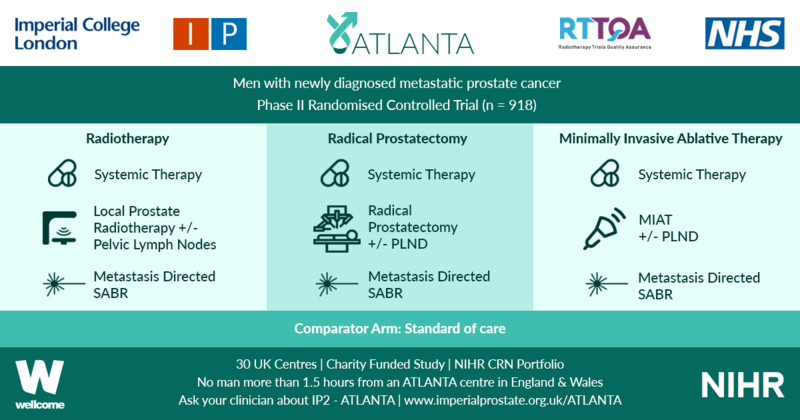 It fits thematically with the prior 2 blogs in the sense of looking at the effects of “mandating” quality improvement projects or “mandating” MDT discussion of all cancer cases—what are the unintended consequences and where is the next paradigm shift. As I sign off, I think everyone of a certain age’s favorite example of unintended consequences was the story of the radiology film room attending who commonly sat in a dark office in the basement of the hospital. You would go down there with your team of residents, students, and attending and looks through the films and discuss face to face who has pneumonia and who was fluid overloaded, etc. Once we went digital, that whole interaction disappeared for better or worse. As a funny recollection, the other key staff down there when I was a resident were the guys organizing the film library—once a day you had to give them a list of cases to pull from the stacks. They were your friends and could make you look good at conference time. As I recall, once we went digital that job when away quickly. Seems like many of them found employment at our local airport as TSA security agents. I guess the experience with x-rays was a good prerequisite. Image 2: Key Slide. The latter point of digitization of health care is the next point of emphasis, following pressure to deliver high value care.